Smart businesses don’t buy a tool unless it’s ultimately going to help the bottom line. So when evaluating our product, The Checker inspection checklists, you will of course ask: Will using The Checker to improve inspection processes lead to reduced costs and/or increased productivity? In this video, The Checker’s president, David Lefevre, explains the relationship between inspections, safety, and profitability. After this particularly long winter, it’s getting time to fire up the grill—finally. 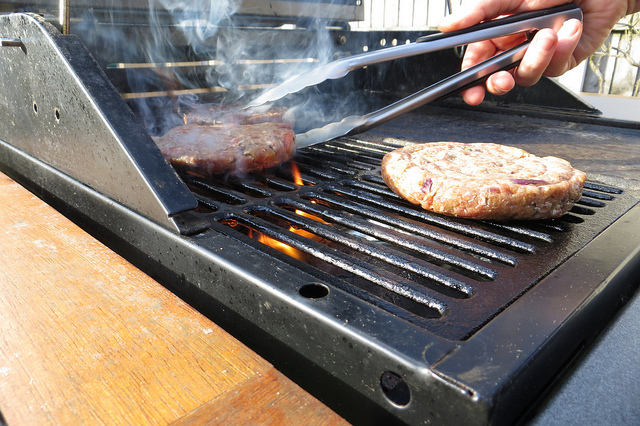 As they turn the nozzle on their propane tank, most people who use gas grills are probably thinking about the warm weather and all the good stuff they’re getting ready to grill—not about how dangerous that propane cylinder is. Or maybe it does cross their mind that they’re releasing an explosive gas, but they figure that it’s no problem because they haven’t done anything to the cylinder since they got it from the store. They’re made safe, right? Yes, for the most part they are. But even the best manufacturers occasionally produce defective products, and things do break due to mishandling. When you’re dealing with a highly explosive gas like propane, it’s best to always inspect the cylinder before using it, whether it’s for cooking out or any other purpose. That’s a critical point to grasp for businesses that use propane cylinders. Obviously, the more propane cylinders involved, the greater the risk, and businesses will normally be dealing with much more than the one cylinder on the backyard barbecue. Here’s all the needs to be done. Before looking over the cylinder, make sure all the valves are closed. Check the cylinder collar for markings that tell when the cylinder expires. In the U.S., you’ll find the manufacturing date, and the cylinder expires 12 years from that date. In Canada, the retest date is listed, and that’s when the cylinder expires unless it’s re-qualified. Make sure the cylinder valves have the right protective caps or covers. Look for valves that are bent, cracked, or otherwise damaged. Inspect the seals around the valves. Loosen the cap of the fill valve slightly to ensure it’s not leaking; then retighten the cap. If any cylinder is defective, immediately tag it and report the deficiency. That doesn’t take long at all, and when defective cylinders are found, you know it’s worth it! The following video doesn’t illustrate a cylinder inspection issue. As you’ll see, it wouldn’t have mattered whether one of the cylinders in the video was defective. But this clip does do a great job of showing the explosive power of propane cylinders. They’re not something to play around with—in business or the backyard. Image courtesy of Pete, Creative Commons. Whenever we're considering a new business solution, we ultimately come to the question: "Will this add value?" Products and services may be fascinating. They may be really useful for some people. But if they aren't going to help our buisness, we're not going to invest in them. So how will investing in our product, The Checker inspection checklists, add value for your company? We've put together a brief video clip that answers that question in a nutshell.